Classic 1970s police show Hawaii Five-O is set to make a small-screen comeback, according to the Hollywood Reporter. The updated series will be produced by Ed Bernero, the man behind popular US crime drama Criminal Minds. 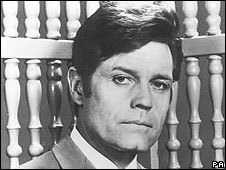 The original show, which ran from 1968 to 1980, starred Jack Lord as Detective Steve McGarrett of the fictional Hawaiian state police department. The series became famous for its brassy theme tune and McGarrett's famous catchphrase, "Book 'em, Danno". The new show will revolve around McGarrett's son Chris and feature a reworked version of its familiar opening music. Like its predecessor, the new show - dubbed Hawaii Five-O 2.0 - will be shot on location in Hawaii. "We will try to keep as much of the original as possible," Bernero told the Hollywood Reporter. "I'm not trying to reinvent it." According to the trade paper, US TV network CBS is also developing an updated version of The Streets of San Francisco. The original series, which ran from 1972 to 1977, starred Karl Malden and Michael Douglas as cops investigating crime in the city.